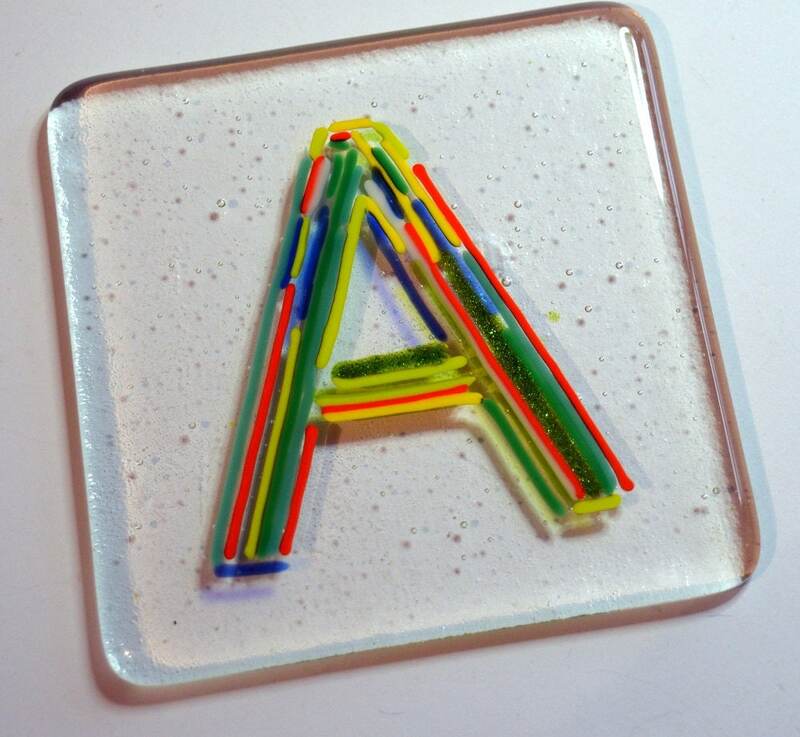 Trendy colourful coasters made to order. 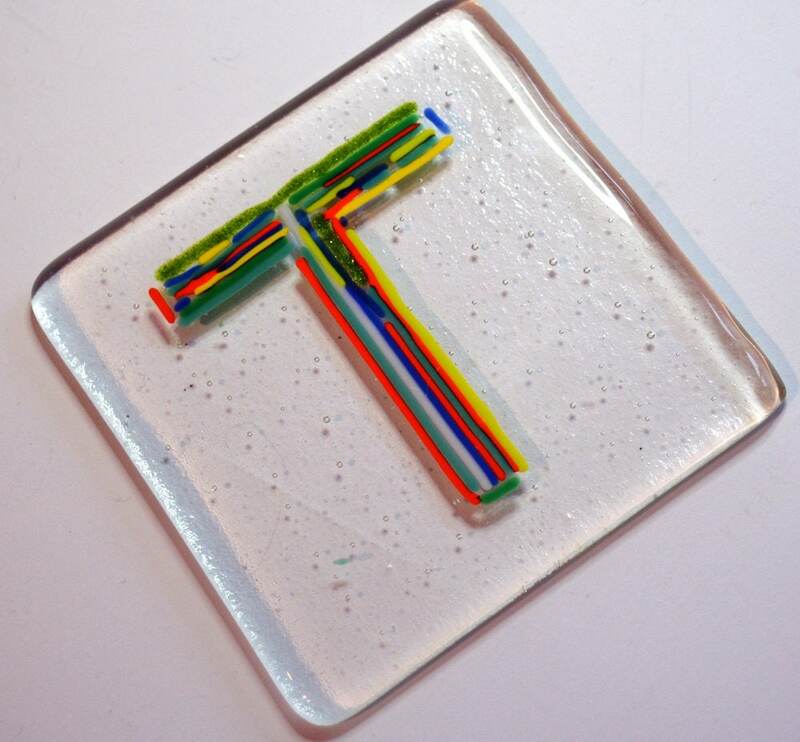 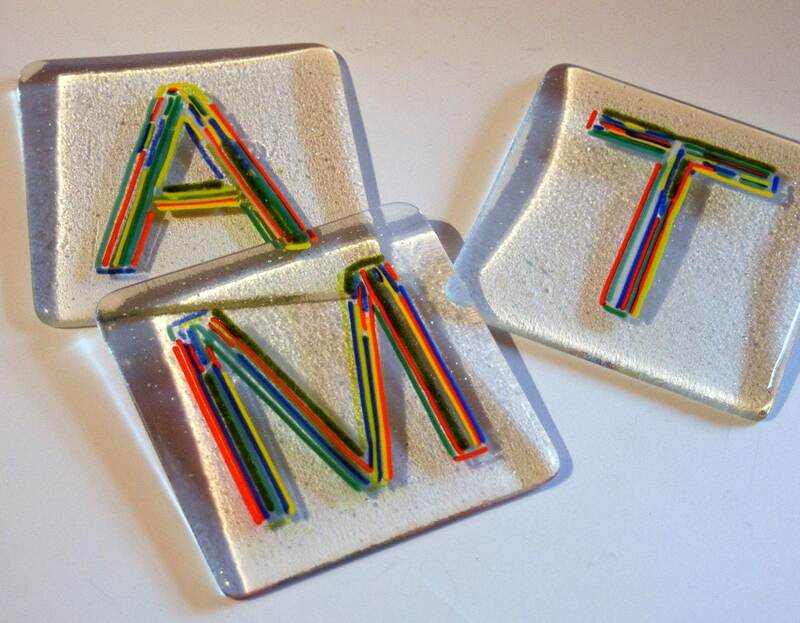 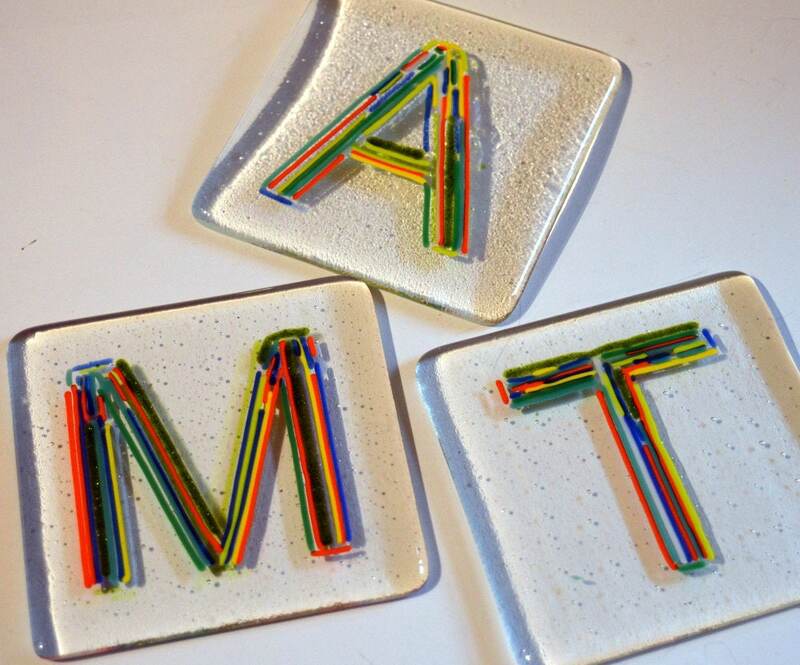 Capital letters have been formed by fusing glass rods to a clear glass base. 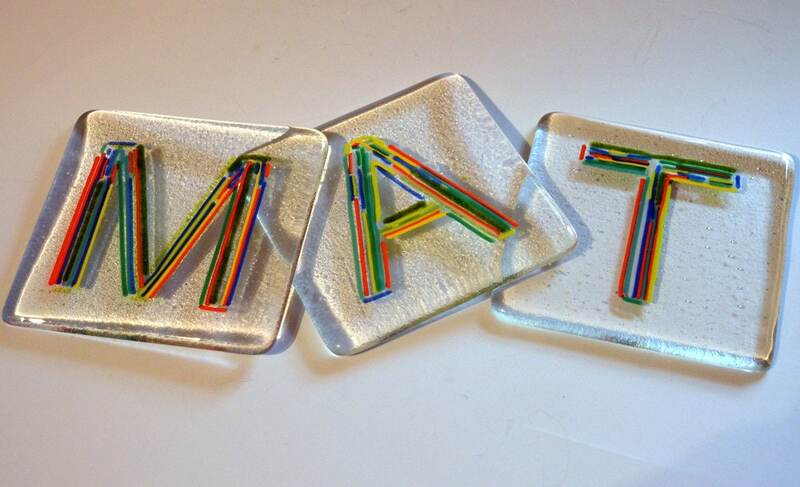 Measuring approx.10cm (4 inches) square, the bottoms will have small rubber stopper feet to protect your furniture. 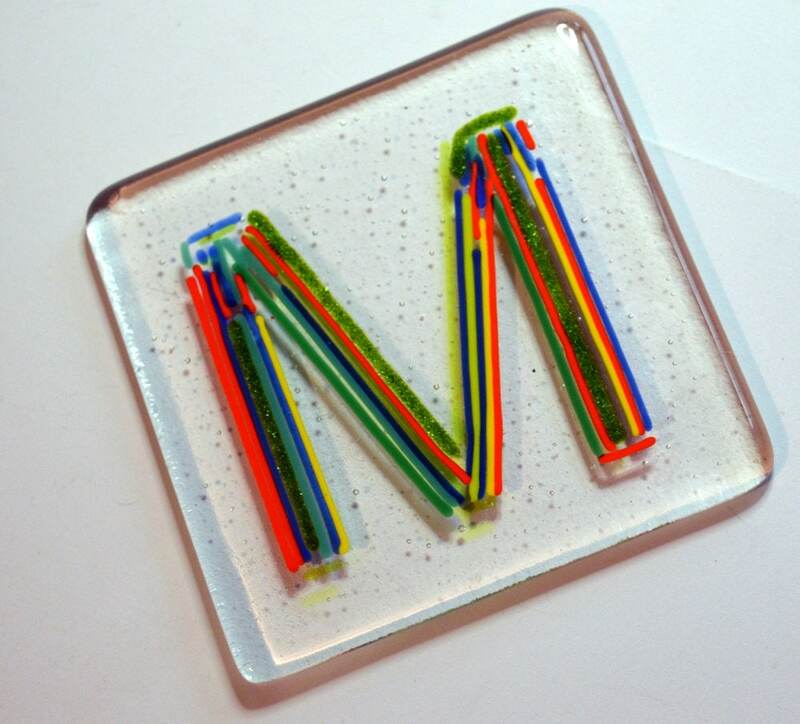 Listing is for one coaster made to order in my small home studio. 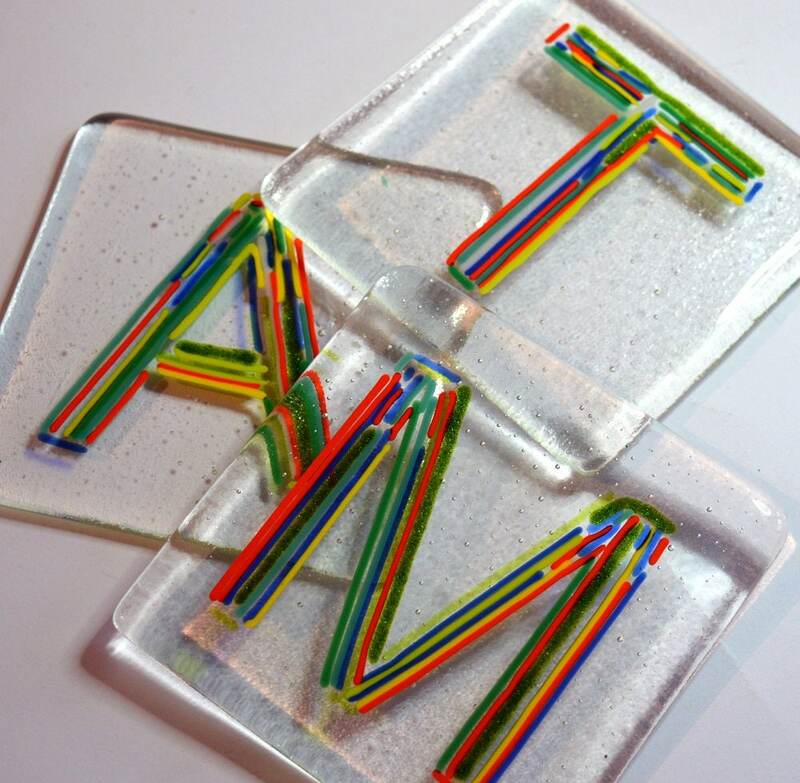 As this is a handmade item it will not look exactly the same as the photo but will be very similar and in the same font.